It may not be the rocket cat, but Hamster in a Ball of Death may be close enough ! Yes I said it, the latest character is a hamster. 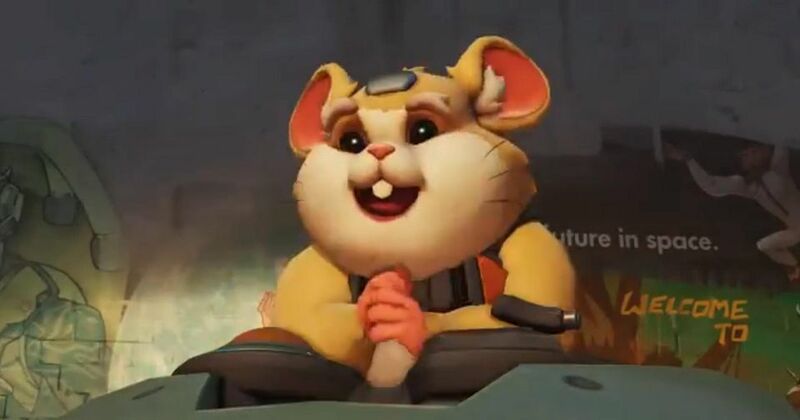 So far it looks like this little guy may be Hammond and yes I had originally assumed Hammond was a Gorilla, but looks like I may be wrong. Form 3 – Hamster form where they have a lot of speed but no weapons or armour and can bide their time to get the ball summoned back. Of course Blizzard are infamous for trolling people and this may all be speculation, either way even though I am feeling a lot of trepidation going into this I still think this new character looks adorable.